This Creepy Monster Was Found in the Woods! Does Anyone Know What Is It? 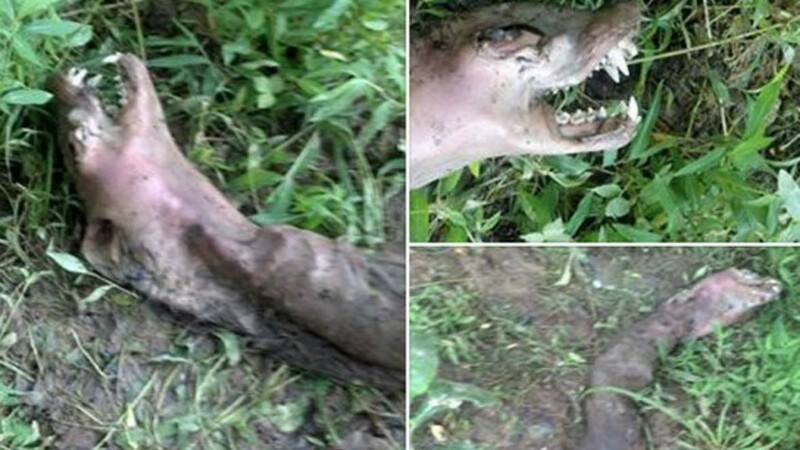 Chasity Neal had gone for a walk in the woods near to her home with her children when she found this creepy monster. She captured three photos of this dead monster leaving her friends asking about its kind. She explained that she found it “not far from her house”. Her post has now been shared more than 45,000 times after being posted earlier this month. In some other posts, some suggested it being an alien life form and others called it a serpent from the sea.